Circu is the name of a small Portuguese furniture factory that produces hand-crafted and hand-tailored pieces of highest quality. It’s just about two years old, but the photos of its designs have already appeared in all the best of world magazines on interior design and décor. Why? Because no one else guessed to let the boldest dreams of children come so true. 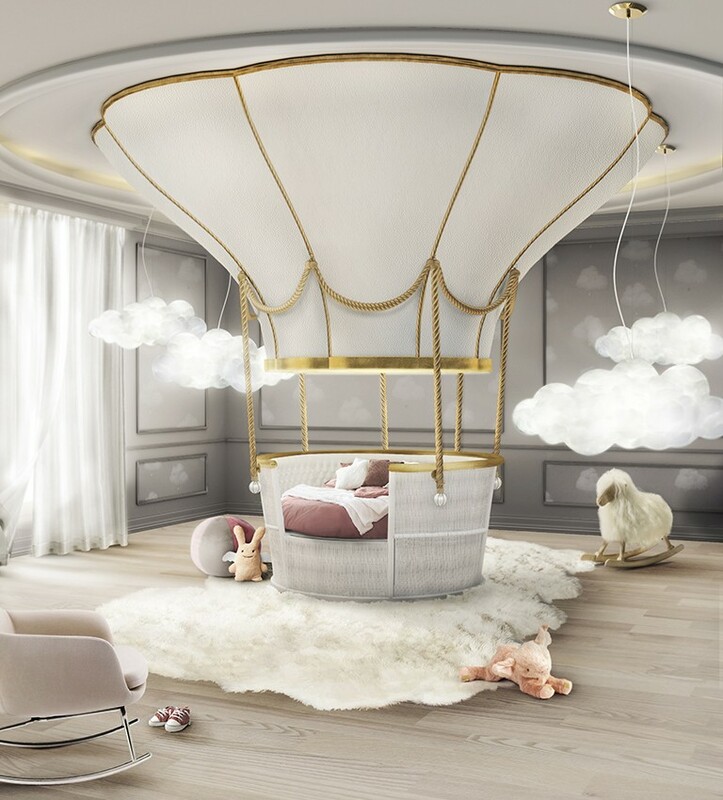 They were the first to design a bed in the shape of a little mermaid’s shell, a sofa – in the shape of a giant air balloon and to create a rocket arm-chair. Let’s have a closer look at three best furniture designs of this brand. 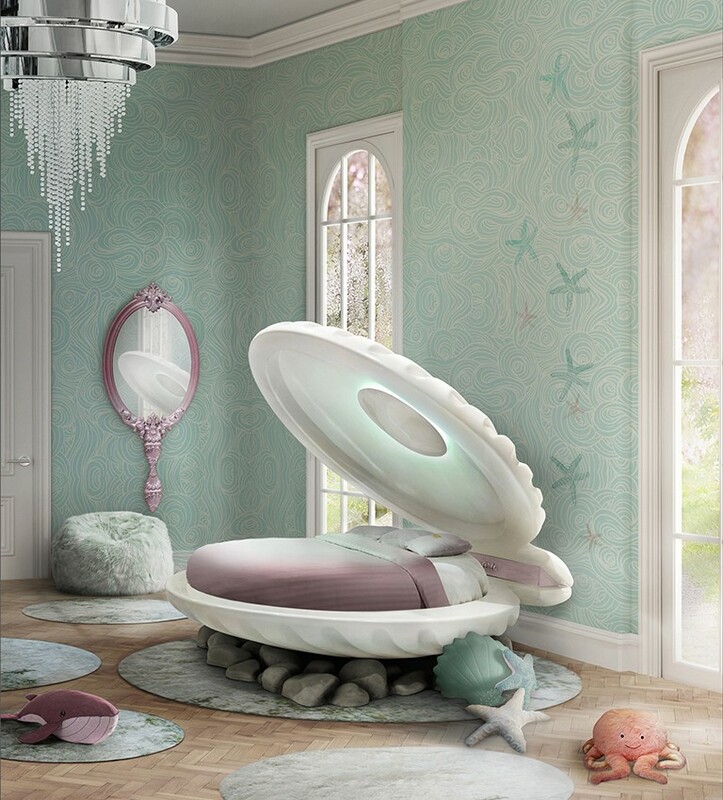 This super shell-shaped bed is called Little Mermaid and is already available for about 16,000 dollars. The price is quite significant, but the design is truly impressive. 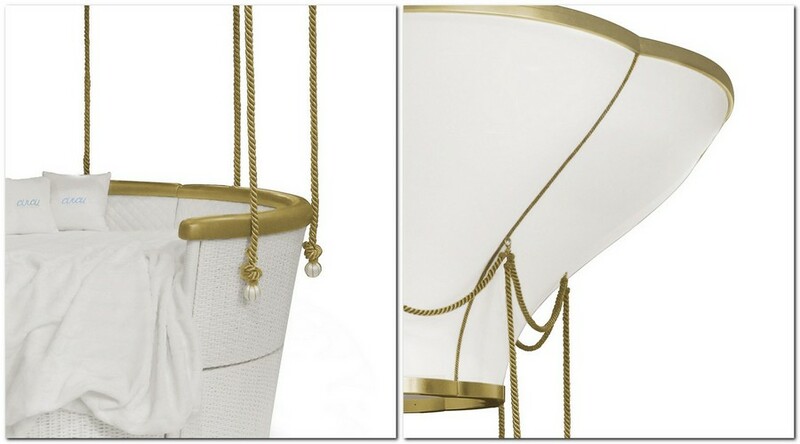 Nacre painted, like a real shell with a pearl inside, it has a recessed illumination enhancing the feel of under-the-sea. The bed is made of fiberglass and gives additional sense of protection that little princesses need so much to have only nicest dreams. 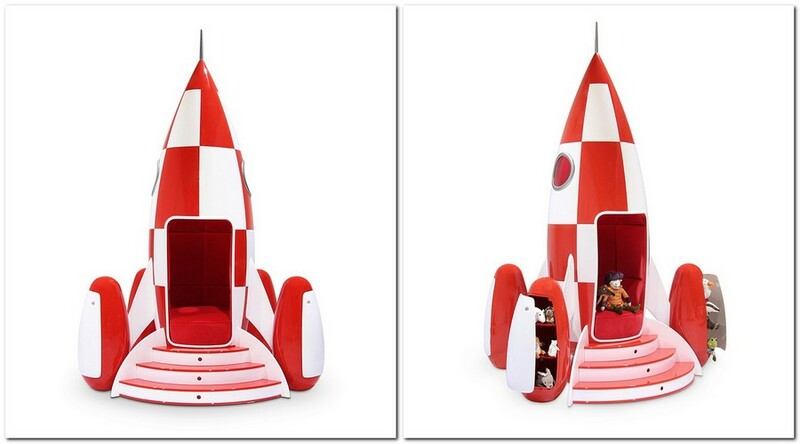 Just as the Little Mermaid bed, the Rocky Rocket arm-chair body is made from fiber glass. It’s a peculiar combination of astonishing design, hi-tech and functionality. Why hi-tech? Because modern digital era makes more and more elements of our lives controlled from gadgets, and this arm-chair is no different: a kid can choose music, light effects or sleep time mode from a mobile app. As for functional aspects, the four engine compartments of the rocket are actually nice storage areas. 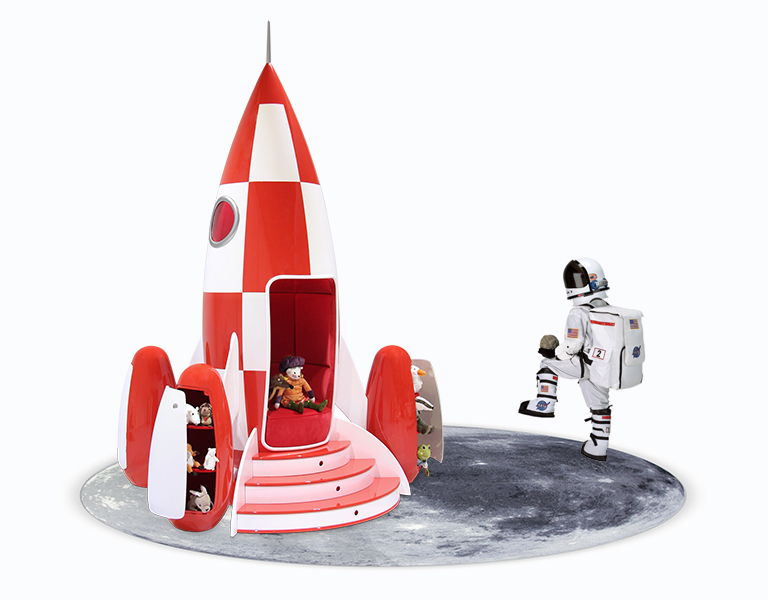 Both the interiors of the rocket body and the interiors of storage departments are upholstered with beautiful red velvet. Perhaps, the most amazing thing about this bed (besides an astonishing design, of course) is that it’s entirely hand-made. It may be assumed that it takes months to make this huge basket with traditional basketry technique. 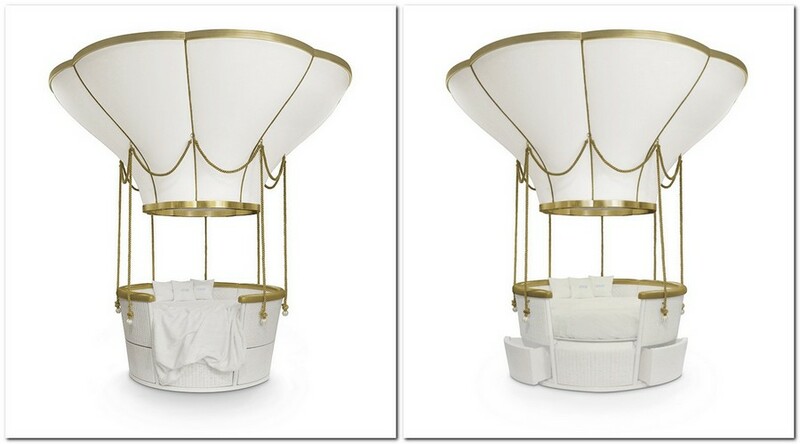 The balloon part is made from white lacquered wood and synthetic leather upholstery featuring a few gold leaf details. 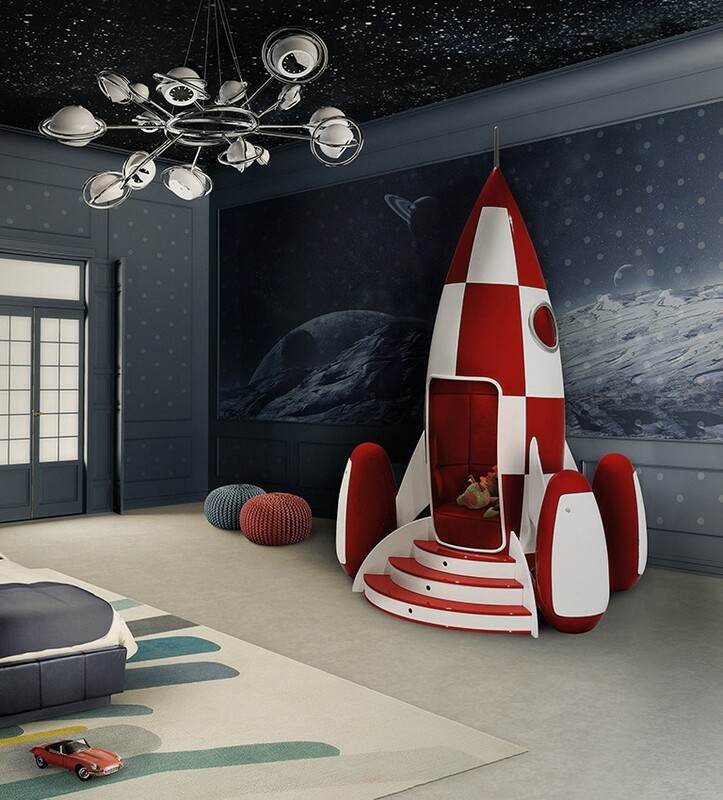 Just like the above-mentioned Rocket arm-chair, the bed is multifunctional – can be used as a sofa or bed optionally and includes a storage area – and also equipped with light and music system that can be controlled from an app.